Inscribed faintly on back in ink: James Northcote … and two labels: Property of George P. Boyce as Northcote by Wilkie, and F 1908. 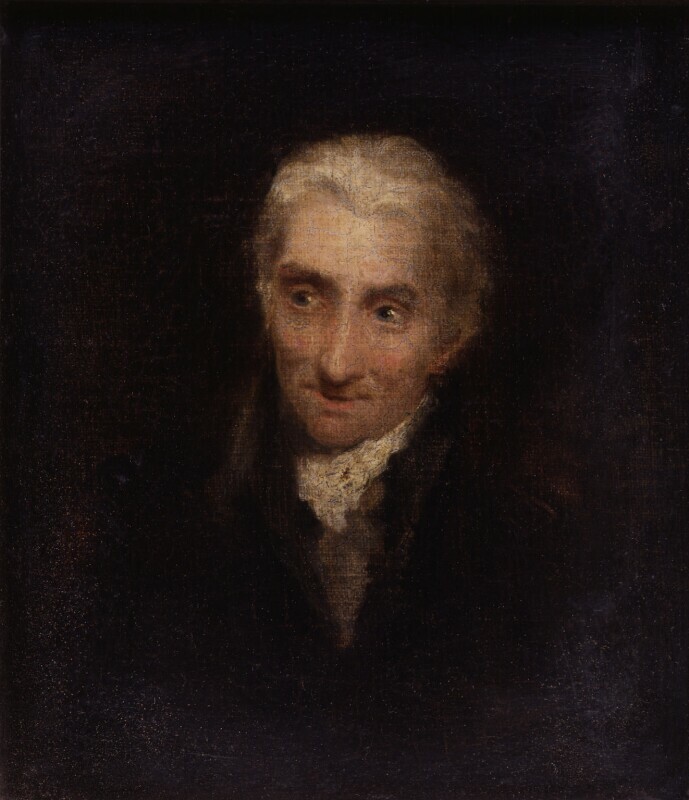 The portrait was given as James Northcote, artist (1746-1831) by Wilkie. On acquisition it was taken by a member of the NPG staff (John Steegman) to the Tate Gallery and compared with Wilkie's 'Bagpiper', 'Sketch of Rustic Figures', 'The Parish Beadle' and others not later than 1825 (the apparent age of Northcote): 'much allowance must be made for the damaged state of the portrait, probably due to the laying-down of the canvas on to panel, but I think a good claim can be made for Wilkie's authorship' (memo by JS 26 November 1937 in NPG archive). There is a distant resemblance to the aged Northcote but the thick thatch of hair is uncharacteristic and the NPG catalogues from the 1949 edition have classified it as 'Unknown Man'. George P. Boyce RWS of 33 Glebe Place, Chelsea, and his sale Christie's 2 July 1897 (226), bought Turner £1.11.6 Leggatt Brothers and given to the NPG by Dudley Leggatt in memory of his brother Ernest Leggatt, 1937. Exhibition of the Royal House of Guelph, New Gallery, 1981 (185) as James Northcote by Sir David Wilkie lent by G. P. Boyce.